NATCHER, William Huston, a Representative from Kentucky; born in Bowling Green, Warren County, Ky., September 11, 1909; attended the public schools and received high school education at Ogden Preparatory Department of Ogden College, Bowling Green, Ky.; B.A., Western Kentucky State College, Bowling Green, Ky., 1930 and from Ohio State University, Columbus, Ohio, LL.B., 1933; was admitted to the bar in 1934 and commenced practice of law in Bowling Green, Ky.; Federal conciliation commissioner for the western district of Kentucky in 1936 and 1937; county attorney of Warren County 1938-1950; president of the Young Democratic Clubs of Kentucky 1941-1946; served in the United States Navy 1942-1945; commonwealth attorney for the eighth judicial district of Kentucky 1951-1953; delegate, Democratic National Convention, 1940; elected as a Democrat to the Eighty-third Congress, August 1, 1953, by special election to fill the vacancy caused by the death of Garrett L. Withers; reelected to the twenty succeeding Congresses and served from August 1, 1953, until his death in the naval hospital at Bethesda, Md., March 29, 1994; chairman, Committee on Appropriations (One Hundred Third Congress); interment in Fairview Cemetery, Bowling Green, Warren County, Ky.
Papers: ca. 1972-1985, 4.5 linear feet. 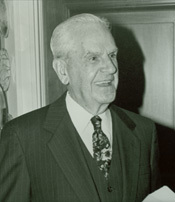 The collection documents William Natcher's tenure as a Representative in the U.S. House of Representatives. Included is correspondence with individuals, such as Governors, White House officials, international officials, and others (1954-1993); invitations, subject files, press releases, and printed matter documenting William Natcher's voting record, as well as excerpts from the Congressional Record, and newspaper clippings. A finding aid is available in the repository and online. Papers: 1936-1994, 6 linear feet. Collection consists of correspondence between William Natcher and presidents, politicians and constituents. The collection also includes fifty-nine bound journals and sixty-nine scrapbooks documenting William Natcher's congressional career, as well as more than 2,000 photographs, and nearly 300 museum artifacts. Presently, the indexed photographs and scrapbooks are accessible for public use. Memorial tributes and services: William H. Natcher, late a Representative from Kentucky, One Hundred Third Congress, second session. Washington: Government Printing Office, 1996. Ralph Nader Congress Project. Citizens Look at Congress: William H. Natcher, Democratic Representative from Kentucky. Washington, D. C.: Grossman Publishers, 1972.